Turned the corner on the path. Literally. Turning the literal corner in the path. I mentioned yesterday that I got to the corner of my pathway. This is one of the curviest parts of the path, with the inside corner being probably the sharpest turn. Like I mentioned before: wow, there are a lot of stones to cut. Those in my family have been very supportive, telling me how great it looks. It’s very kind. I am well aware that there are mistakes and things I am doing that a true professional wouldn’t do. I get that. And, I’m also probably saving a thousand bucks or more by doing it myself. I like the way it looks, though. And, since I’m the client as well, I believe that mine is the only opinion that matters. Okay, my wife’s opinion matters, too. And she’s happy with it, too. Path sanded and ready for stones. 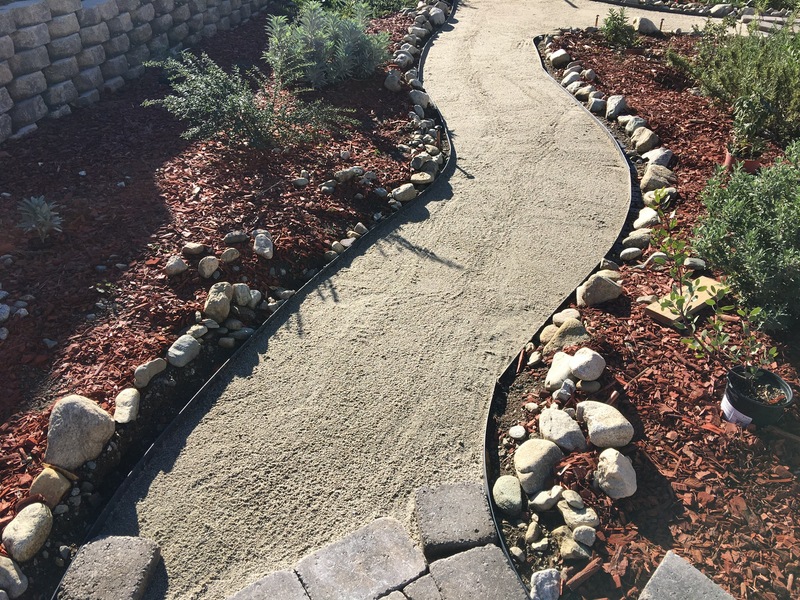 Yesterday I also got a good amount of sand leveled into the path. This morning I laid out some more blocks. Tomorrow I will be doing a lot of cutting to get this section done. I think I can finish this in a couple days. Then, I will sweep in the sand and probably compact it and be done. I am really looking forward to being done. 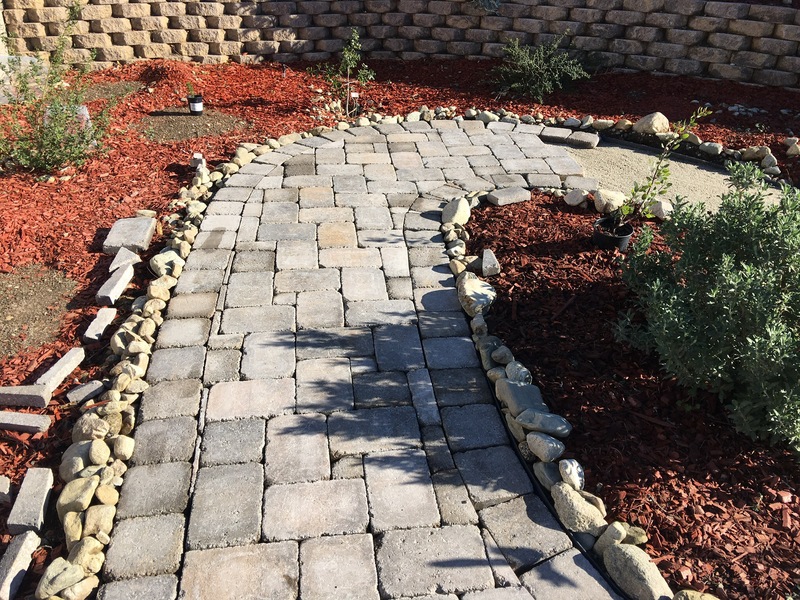 Previous PostPaver Patio and PathNext PostFinished stone paver walkway/patio!